As part of deferred maintenance, Schlagle High received upgrades to its fire alarm in Summer of 2017 and will receive roof upgrades in the Summer of 2018. 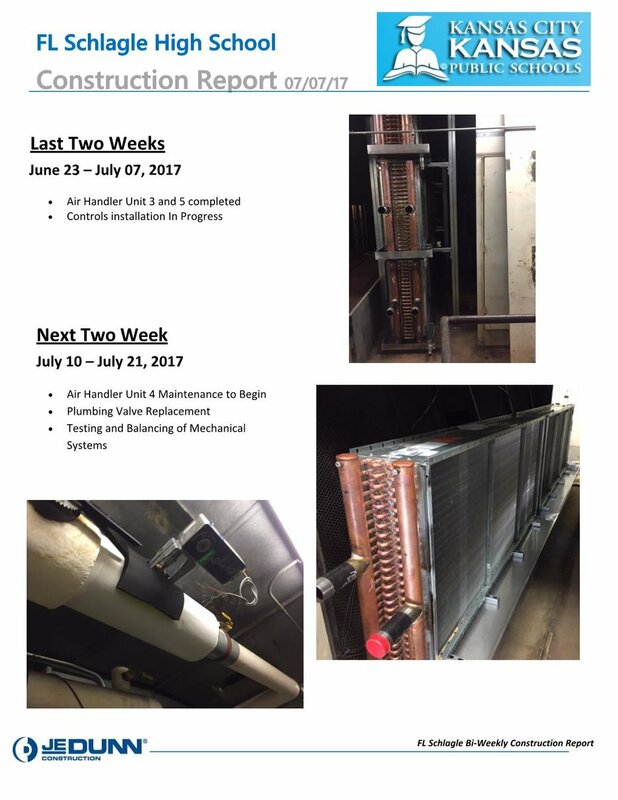 F. L. Schlagle will received plumbing upgrades and air handling units as part of the bond projects. F. L. Schlagle will also receive remodeling for academy spaces as part of the bond projects. These upgrades are scheduled for the Summer of 2018. F. L. Schlagle will also receive science labs and security upgrades as part of the bond projects. These upgrades are tentatively scheduled for the Spring/Summer of 2019. For more information on specific school information, visit F.L. Schlagle's website.